Yes, ChiroMend does accept most health insurance plans. We will work with your insurance company, on your behalf, to submit and process claims, making it as easy as possible for you. Does my insurance plan cover Chiropractic? Physical therapy? Nutritional therapy? Many people pay insurance premiums every month specifically for these services and don’t realize they actually do have coverage. If you don’t use it, you lose it. Simple as that. If you aren’t sure, we’ll be happy to contact your insurance provider to find out exactly what your plan will and will not cover. During your initial visit we can then sit down and go over your benefits so you are very clear as to what your policy will cover and how you can best use it to your advantage. OK, what if my policy doesn’t cover everything you recommend? Let’s be clear. Your health affects everything you do, everyone you know, everything you’ll be. It is by far your most valuable possession. Yet, each of us is free to place a different value on our health. It’s convenient when an insurance company or third party helps to pay the bill, and almost all policies cover some of your chiropractic care. But keep in mind, your insurance company is a corporation designed to make a profit. Your health isn’t going to get in the way of that. If they won’t cover a service, it doesn’t mean you won’t benefit from it. So the decision is this – if it can make your life better, what is that worth? Now, rest assured, we have never turned a patient away due to financial difficulties. Let us show you how quality health care can still be affordable. We understand everyone is on a budget. We’ll work with you to provide treatment options that will fit within that budget. Chiropractic, as we know it, was developed in 1895 by Daniel David Palmer. In truth, spinal manipulation has been an effective healing art for thousands of years. In the 19th century there were “bonesetters” who practiced a healing art much like chiropractic. The ancient Egyptians and the ancient Chinese both practiced spinal manipulation as a healing art. Hippocrates also used spinal manipulation. Is a chiropractor a 'real' doctor? Usually when people say the word “doctor” they mean doctor of medicine. There are other kinds of doctors – doctors of osteopathy, doctors of dentistry, and doctors of chiropractic. Every state in the union licenses chiropractors as one of the three major providers of health care, along with medical doctors and doctors of osteopathy. A chiropractor, after his undergraduate education, is required to have 4,500 hours of classroom study – comparable to the number of hours a medical doctor goes to school. Several board exams must also be passed for a chiropractor to obtain a license. What kind of education does it take to be a chiropractor? The Council on Chiropractic requires 4,200 hours of education. The chiropractic colleges require between 4,800 hours and 5,200 hours for graduation (depending on the college). The average total number of hours of anatomy, biochemistry, microbiology, public health, physiology, and pathology taught in the chiropractic schools is a little over 1,400. In three medical schools sampled, it was around 1,200. Chiropractors spend a significant amount of time with hands-on learning of adjusting and other manual therapy (a little under 2,000 hours on average). They must also spend time in a clinical internship. Chiropractors also have more extensive training in the areas of nutrition, diet, lifestyle and preventative medicine. Medical Doctors are more focused on medications and surgical procedures. Chiropractic adjustments usually involve a gentle yet quick thrust that helps add motion to joints that aren’t moving correctly. For a number of reasons, joints in our body can sometime get “stuck”, “locked up”, or “restricted“. A chiropractic adjustment can unlock those joints, restoring mobility, and ultimately joint health. Some methods use the doctor’s hands, an instrument, a special table or the force of gravity. Depending on your specific needs, the ChiroMend team many use any one or a combination of methods. What makes the funny sound during the adjustment? Lubricating fluids separate the bones of each spinal joint. Some adjusting methods can produce a sound when the gas and fluids in the joint shift. It’s much like opening a bottle of champagne or removing a suction cup. The sound is interesting, but it isn’t an indicator to the quality or value of the adjustment. The decision to have x-rays is on an individual case basis. So, maybe. Maybe not. X-rays and other imaging studies are ordered if necessary. To quote the article, “Spinal manipulation was more effective than sham therapy and therapies already known to be unhelpful.” The article goes on to say that chiropractic is at least as effective as general practitioner care, pain killers, physical therapy, exercise, or back school. No. the ChiroMend team will adjust each patient differently, using different methods. Each patient’s spine and bone structure is unique. With 24 moving bones in the spine, each of which can move in seven different directions, we see a wide variety of spinal patterns. 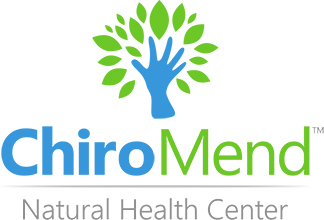 ChiroMend custom tailors your treatment plan based on your age, condition and your health goals. It’s all about customization! Seriously, can't I just adjust myself? Seriously…. no. Some people can make their joints “pop,” but that’s not an adjustment. Worse, damage can occur by over mobilizing joints that already move well. For many people, self adjusting is often addictive and can lead to weakness of muscles and ligaments. Proper adjustments are applied only to specific joints… joints that really need it, and are administered in the correct motion to alleviate restriction. The skills necessary to assess which joints need treatment and in which direction take years to master. Leave it to the professionals. Could I become addicted to chiropractic treatment? Chiropractic is a healthy, natural thing, not an artificial thing that you can become “hooked” on. The relief chiropractic care will provide after an injury will last quite a while, just as you would expect any other effective treatment to work. Once the health problem is brought back into control, therapy (chiropractic or any other therapy) can cease. However, some conditions may require maintenance in order to prevent a relapse. Chiropractic has benefits that extend beyond pain relief. It is a feeling of being in balance and of having optimum health. People who receive chiropractic adjustments are often surprised at the sense of well-being associated with being in balance. If they take care of themselves, exercise and eat right, this feeling lasts. Some people like the feeling of being in balance and return for chiropractic care from time to time, even when they feel great for wellness care. But, what if I don't get better? If we’re unable to correct the cause of your particular health matter, when necessary, we will refer you to another of our trusted specialists who may be able to help you further. Although we’d like to think we can fix everything, truth is, we can’t. And at ChiroMend, your health and wellbeing is our primary goal. If we don’t think we’re the right fit for you, we’ll tell you that. Plain and simple.